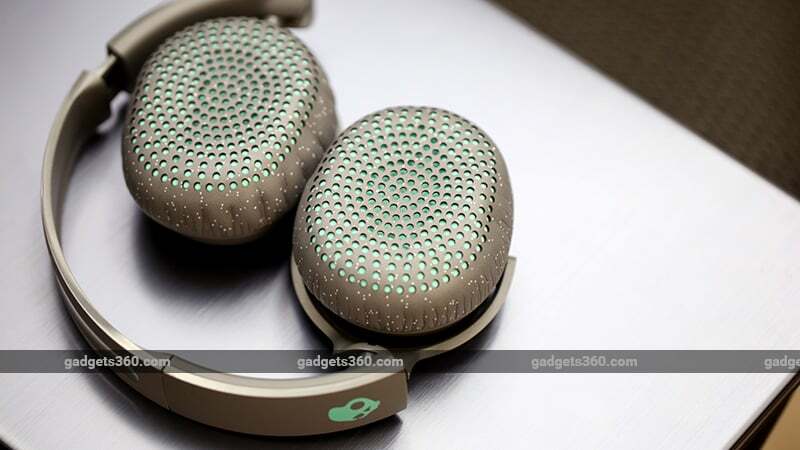 Skullcandy has been making headphones for more than a decade, and its products have generally been quite popular thanks to their funky colour schemes. Today, we'll be testing the wireless version of the Riff headphones, simply called the Riff Wireless. Priced at Rs. 5,999, this pair isn't exactly cheap for casual, everyday headphones. You don't get much in terms of frills, and the only features worth boasting of seem to be its low weight and the claimed 12-hour battery life. Does the Skullcandy Riff Wireless redeem itself by delivering good audio? Let's find out. The Riff Wireless is an on-ear or supra-aural pair of headphones, which means the earcups sit on your ears rather than covering them completely like traditional over-ear headphones. The headphones are constructed pretty much entirely from plastic, including the adjustable headband and the hinges of the earcups. The hinges have the ability to swivel outwards so the Riff Wireless can be worn comfortably around your neck when not in use, and can also be folded for easy storage. The Riff Wireless is available in different colours — Black, White, Blue, Grey — and the one we have in for review is the Grey version. The matte finish doesn't attract fingerprints and it looks good too. However, the Riff Wireless doesn't feel like a Rs. 6,000 pair of headphones. The plastic joints tend to rattle when you carry it around, and you don't even get any cushioning on the headband. On the other hand, the Riff Wireless is very light at just 159g, so you don't feel fatigue even after wearing it for hours at a stretch. The earcups have plush cushioning, making them very comfortable. The grey perforated outer covers contrast nicely with the teal cushions underneath, resulting in a look that's quite stylish. However, faux-leather texture of the outer material tended to make our ears a bit warm after a while. It's not terribly uncomfortable, but it's something that you'll likely notice. The right earcup has all the buttons and also a Micro-USB port for charging. The little rubber strip of buttons lets you adjust the volume and play or pause your music. A long-press of the volume up and down buttons lets you go to the previous or next track respectively. Holding down the play button will summon the virtual assistant on your phone. There's a single microphone for answering calls and a single, multi-coloured LED for the battery status. The Riff Wireless use 40mm drivers for each earcup. They both have an impedance rating of 32 Ohms, and a frequency range of 20Hz to 20,000Hz. This pair of headphones doesn't support any high-resolution audio streaming codecs such as AAC or aptX, so you're stuck with the default SBC codec. You can also only connect the Riff Wireless to one device at a time, which adds to the disappointment. The box contains a Micro-USB charging cable and a quick start guide leaflet. Pairing the headphones is a simple enough process. You hold down the play button till the LED flashes red and blue, and then it's ready to pair with your device. We spent most of our time using this pair of headphones with an iPhone XS (Review) and a MacBook Air for this review. The Riff Wireless is fairly comfortable to wear for everyday use though we would have liked a bit of cushioning on the headband. With that said, we found the headband easy to adjust to get the precise fit we needed, and the pivoting earcups sat comfortably on our ears. After wearing the Skullcandy Riff Wireless for a while, our ears did start to feel a bit warm, which is not a bad thing in cold weather, but might get a little uncomfortable in the summer. It's also easy to find the right control button just by touch, although we did feel that we had to hold the volume up and down buttons for a tad longer than usual in order to change tracks. As comfortable and stylish the Riff Wireless might be, sadly, the audio quality just isn't up to the mark, especially going by its current asking price. The mid-range is generally muddy with weak instrument separation and a narrow soundstage. Vocals lack clarity and crispness, and are often overshadowed by other instruments and the bass. Even vocal-heavy tracks such as Give Me One Reason by Tracy Chapman, lacked good definition and sounded very bland in our tests. The Riff Wireless doesn't have a very high maximum volume level either. On the plus side, high notes didn't sound shrill or piercing even at full volume, which was noticeable in tracks such as Money On My Mind by Sam Smith. The bass was decent but was generally boomy, and overpowered vocals and the mid-range most of the time. It's not tight or punchy, which gets a little fatiguing if you're listening to a lot of EDM or rock music. For example, the chorus in Linkin Park's Numb sounded like a complete mess. The subdued vocals are a problem when watching videos. We had to keep the volume all the way up when watching Marvel's The Punisher on Netflix, and dialogue still sounded muffled. We found it nearly impossible to enjoy any sort of dialogue-driven video when outdoors, as the Riff Wireless doesn't offer much in terms of ambient noise isolation. Sound does leak a bit but only when you max out the volume. On a more positive note, we didn't have any audio-video sync issues when watching videos on the laptop or the phone, or when playing games such as PUBG Mobile. The single microphone worked well for voice calls, and our callers didn't have any trouble understanding us, even when using the Riff Wireless outdoors on the move. The built-in rechargeable battery is rated to deliver 12 hours of battery life, and in our experience we were able to get that much, and at times a bit more. We used the Riff Wireless for about three or four hours on average every day and were able to get through nearly four days before needing to recharge it, which is not bad. There's a quick charge feature that gives you roughy two hours' worth of runtime with a 10-minute charge. Charging the headphones from zero to a 100 percent took about an hour and a half. Unfortunately, there's no voice prompt to tell you the current battery level, but you do get a voice alert when the battery is really low. The LED light blinks blue when there's enough power, and red when the battery level hits below 10 percent. 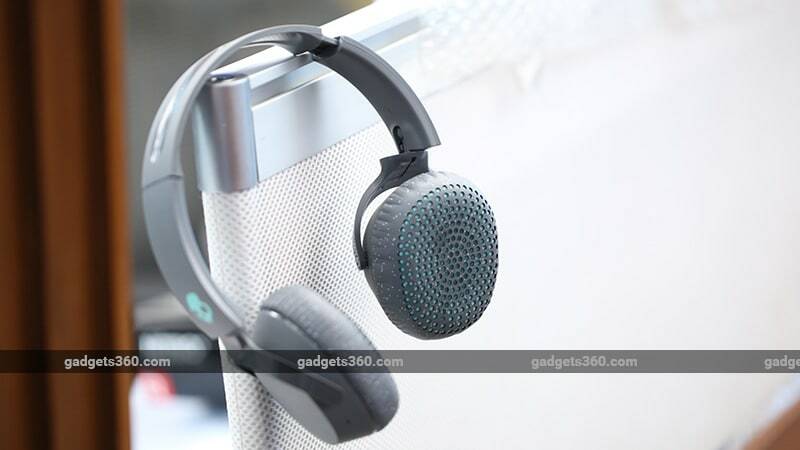 The Skullcandy Riff Wireless is a good-looking, light pair of headphones with decent battery life for everyday use, but the audio quality leaves a lot to be desired, especially at its asking price of Rs. 5,999. You can find it selling for a bit less if you look online, but that's still a lot more than its US retail price of $49.99 (roughly Rs. 3,500). If you're looking for a bass-heavy sound signature, the Sony MDR-XB650BT offers better features such as a 30-hour battery life for around the same price. For a more balanced sonic signature, you might want to check out the JBL E55BT, which also typically retails for under Rs. 6,000.
product Skullcandy Riff Wireless are a stylish pair of headphones for everyday use. But are they any good? Read our review to find out.